Inspired by "It's Monday! What Are You Reading?" hosted by Sheila @ Book Journey. 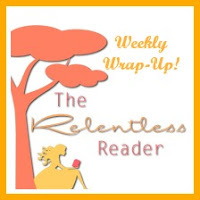 It's been a busy week of blogging for this gal. Reviews and discussions and features and a FIRST BLOGOVERSARY too! There were so many bookish reasons to smile this week! On Tuesday night I attended a picnic/book reading with William Kent Krueger. I sat across from Kent at dinner and he signed my copy of Ordinary Grace! What a generous and intelligent man. Thanks to Redbery Books and Forest Lodge Library for sponsoring this event. Are You Well-Read? <~~Great discussion going on here! I celebrated one whole year of blogging, yahoo! There's an AWESOME giveaway that you'll definitely want to enter. Exciting week, for sure! I'm excited to see your review for The Violet Hour and hear what you think of The Wonder Bread Summer...that was one of my Armchair BEA prizes. My review of The Violet Hour will be up on Thursday. Spoiler alert: I didn't like it very much ;) I'm really looking forward to Wonder Bread, I hear it's set during the 80's which is pretty cool. Such an exciting time for you!!! And I'm glad you're organizing your reviews. It's important to get organized in some way for sure! I haven't read that post yet (I got waaay behind on reading other people's blogs, which is something I think I need a spreadsheet for!!!). Before I started a spreadsheet I had scraps of paper, multiple calendars, and basically just a big mess on my hands, lol. It was working, but not very efficiently. I hope I can keep this up and make it work. It will take some tweaking but I'm on the right track. It's easy to fall behind, there are so many great blogs to read! 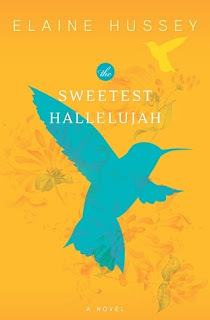 I love the title of Sweetest Hallelujah. 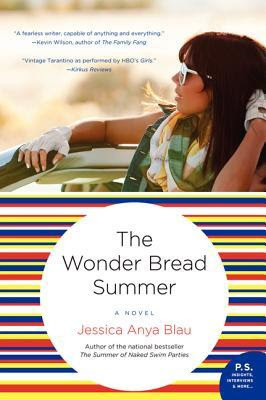 Curious to read your thoughts on Wonder Bread Summer. I hope the spreadsheet works! Isn't that a great title? Gorgeous cover too, in my opinion. I'm in the middle of it reading it and there is something missing that I can't quite put my finger on. Hmm. I met Kent earlier this year and agree with you - he is great! It was so great to meet him, I had a great time :) He's so passionate about independent bookstores and libraries, I loved it! I love meeting authors -- what a treat that you got to sit across from Kent at dinner! It was the first time I met an auhtor. I live in a SMALL town. I had to rein myself in and not drool all over the poor guy, lol. You have had a busy week! And I can't wait to start Owen Meany! I still can't remember if I read that before or not, lol. I'm almost positive I have. I had a love affair with Irving after I read Cider House and read everything of his that I could get my hands on. I can't imagine that I somehow missed Meany. Regardless, I'm totally looking forward to reading it along with you guys! I'm so glad the spreadsheet video/post helped you! Looking forward to hearing what you think about Wonder Bread. I almost selected it as one of my Armchair BEA prizes. LOVE the cover of Sweetest Hallelujah. What a pretty cover that The Sweetest Hallelujah has! Sweetest Hallelujah sounds interesting. There's an excerpt on Amazon and the writing seems good too! It's doing a bit of dragging for me right now, rats. I'm hoping it picks back up! Thanks Lindsey, same to you! That is a busy week! But a good one as well. I'll be interested to see what you think about A Prayer for Own Meany! I was thinking about joining, but this month looks kind of hectic so far and my TBR pile is already huge, lol. But I hear so many good things about it! I am participating in the Owen Meany readalong as well. I love that book so much. Wonder Bread Summer sounds interesting - my husband and I were just talking about wonder bread yesterday. Lol. Oh good! I'm glad you're reading along! LOL, Wonder Bread ;) I'm really eager to get to that book. I've been hearing good things. 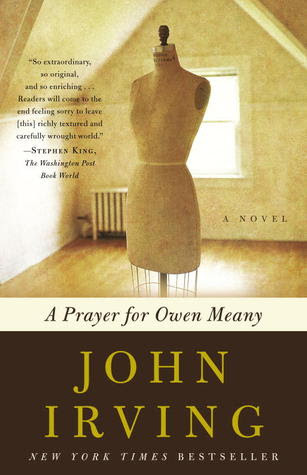 My hubby wants me to read A Prayer for Owen Meany, but alas, I doubt I will. However, he did recommend What's Eating Gilbert Grape, and I ended up loving that one, so who knows? Happy Blogoversary! I can't believe it is only a year for you, wow, great stuff. I enjoyed following you this year. Here's to many more, cheers. Thanks Marce, it's been a great year! Congrats on your One-Year Blogoversary! Enjoy the upcoming year...and I see some great titles on your post today, like The Wonder Bread Summer. It's on my list. Thanks bunches Laurel :) I'm really looking forward to Wonder Bread! Awww, thanks Shannon ;) You're making me blush, lol! Exciting week! I just started using a spreadsheet to keep track of cross-posting my reviews to other sites, but I should try out one for planning reviews. Mostly I just rely on a Google Calendar dedicated to blogging to plan my posts right now. I think a Google calendar would do the same sort of trick :) But maybe on a spreadsheet you can see more info at once? I'm still playing around with it. How does organising your reviews by spreadsheet work? Sam, up in the post I linked to Monika's site where you can see the video tutorial that she made. And then from her site she linked to another blog with even more info. Very handy stuff! I just added The Boys in the Boat to my TBR list this week. I'm looking forward to reading your thoughts about it! Oh I hope you enjoy it as much as I did!! Way to be organized with the spreadsheet! I rely on Goodreads, so if that site ever goes kaput ... don't want to think about it! Eeek, that would be a disaster!! The WonderBread Summer looks cute. Thanks so much Elizabeth, same to you!